I also wanted something a little different than a traditional wreath. 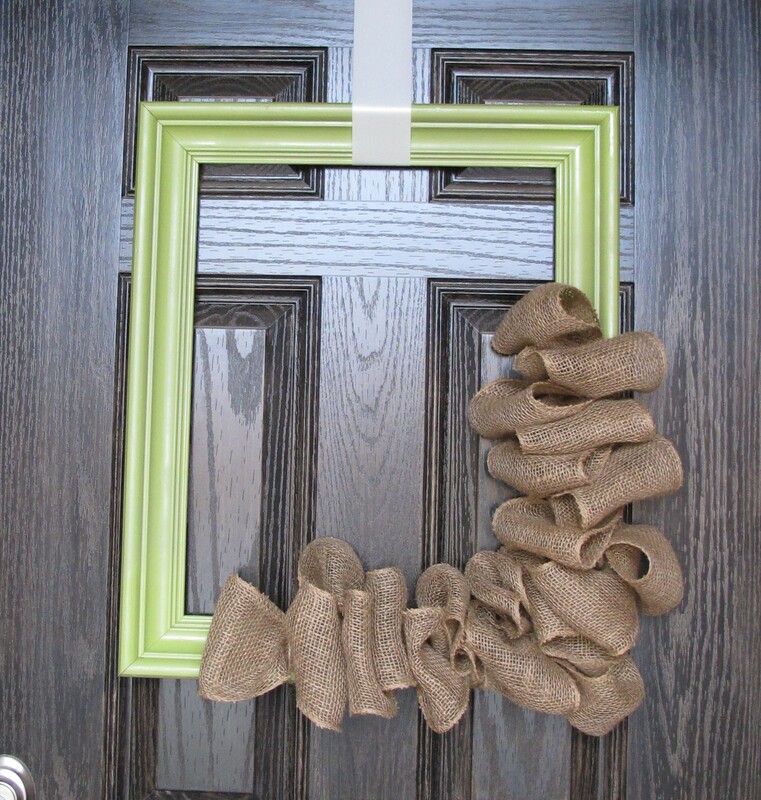 I’d seen different types of frame wreaths on Pinterest and was intrigued by this prospect. 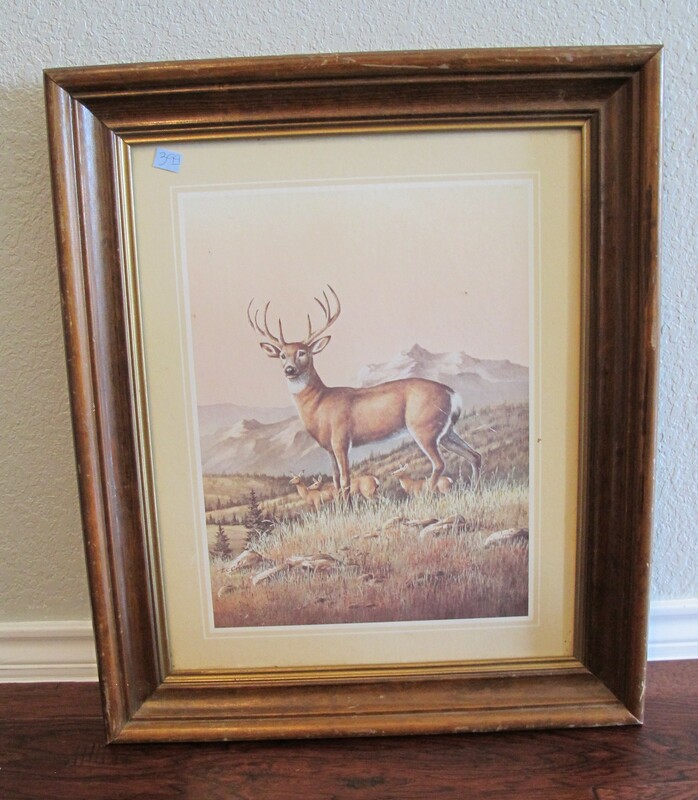 So, throughout my various thrifting trips I kept an eye out for chunky frames with a somewhat streamlined design. He was $3.99 and worth every penny. The frame style and size immediately grabbed my attention as I walked past. It was chunky, streamlined and cheap. Bingo. I thoroughly cleaned the grime off the frame with a water/vinegar spray. And believe me, this guy was grimey. 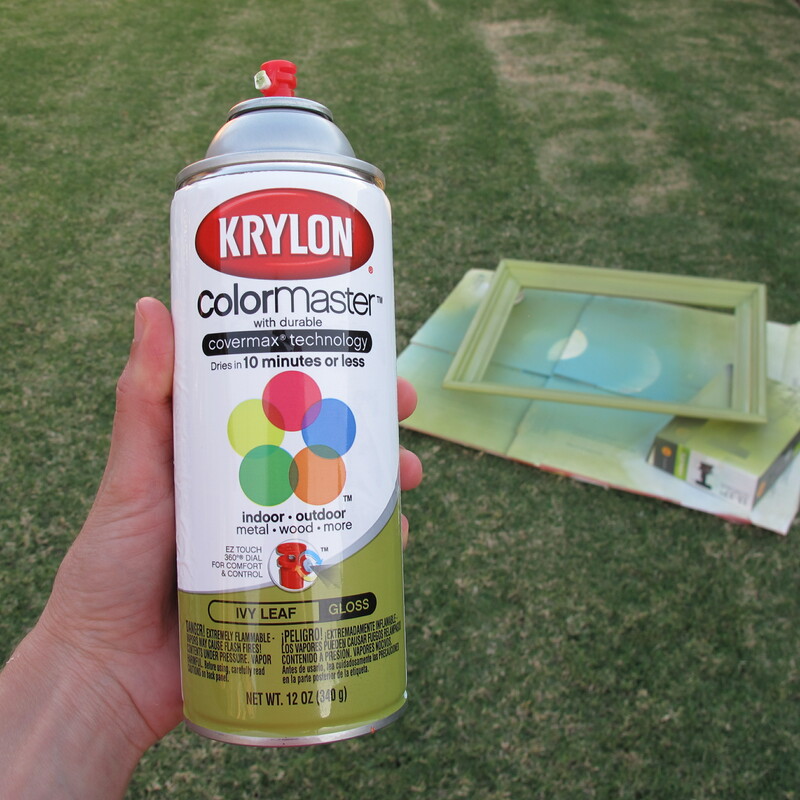 Then, I used this spray paint in Ivy Leaf which is a nice sagey green color to spray-paint the frame…. 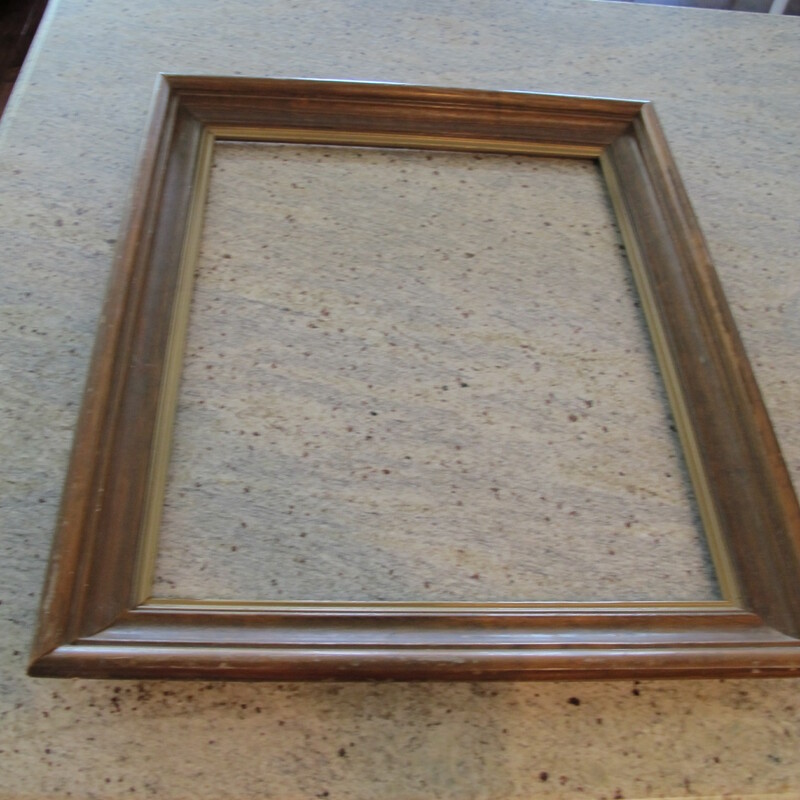 I allowed the frame to dry overnight, then the next morning I assembled my materials…. 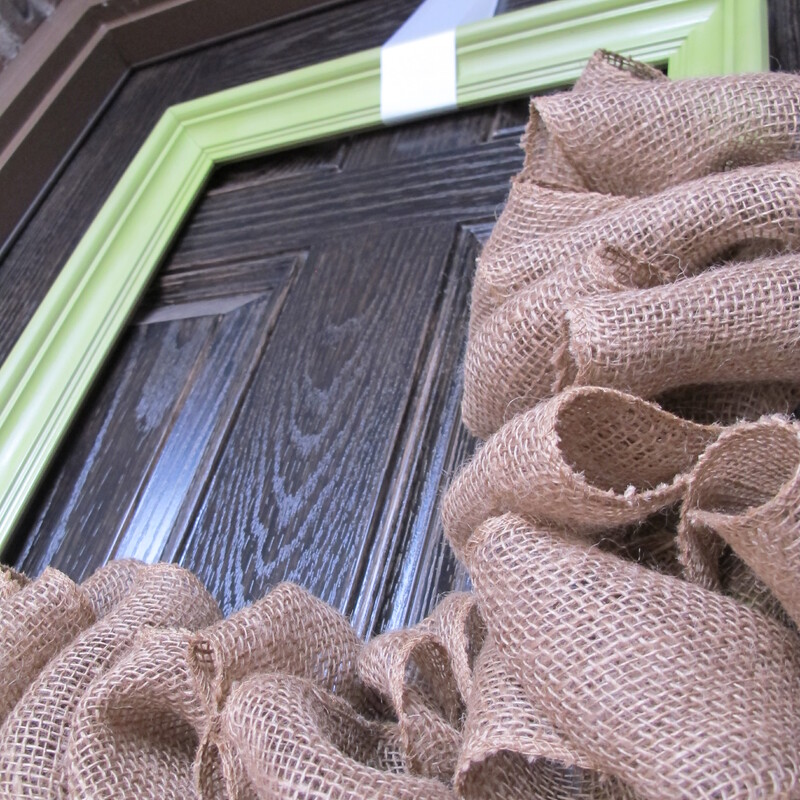 Some twine and burlap ribbon. 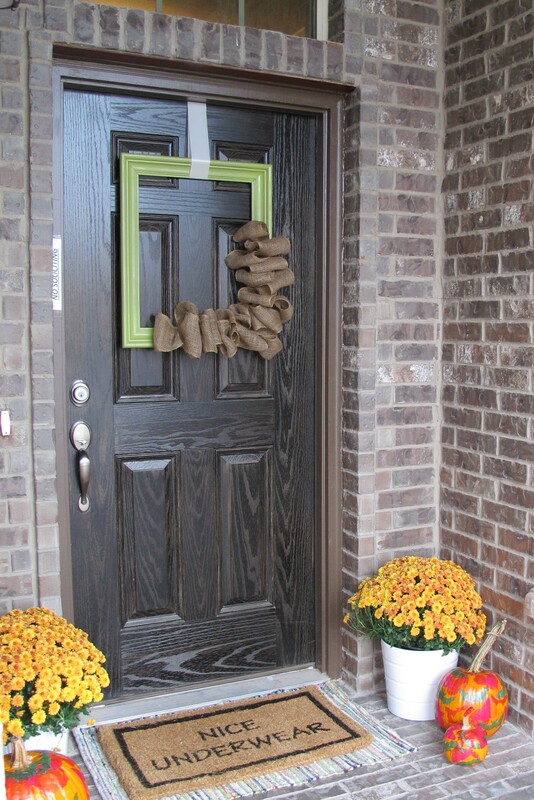 I purchased the burlap ribbon a while back for a different project at Walmart for around five bucks if I’m remembering correctly. The twine, (I kid you not) I’ve had since college. Almost 10 years ago. And I didn’t even buy it. It was given to me by my roommate. And I’ve kept it all these years. Crazytown. So anyways, I wanted to create that puffy, loopy burlap look around one corner of the frame only. 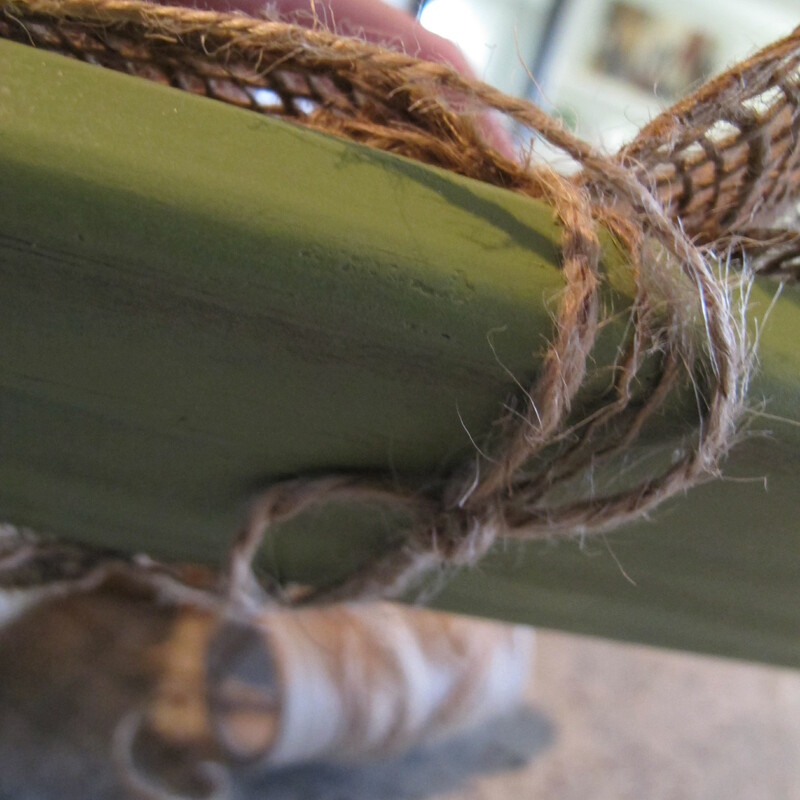 I started by looping the burlap under at my desired starting point and wrapping the twine around the frame and burlap tightly to secure it . Then, I knotted it…. 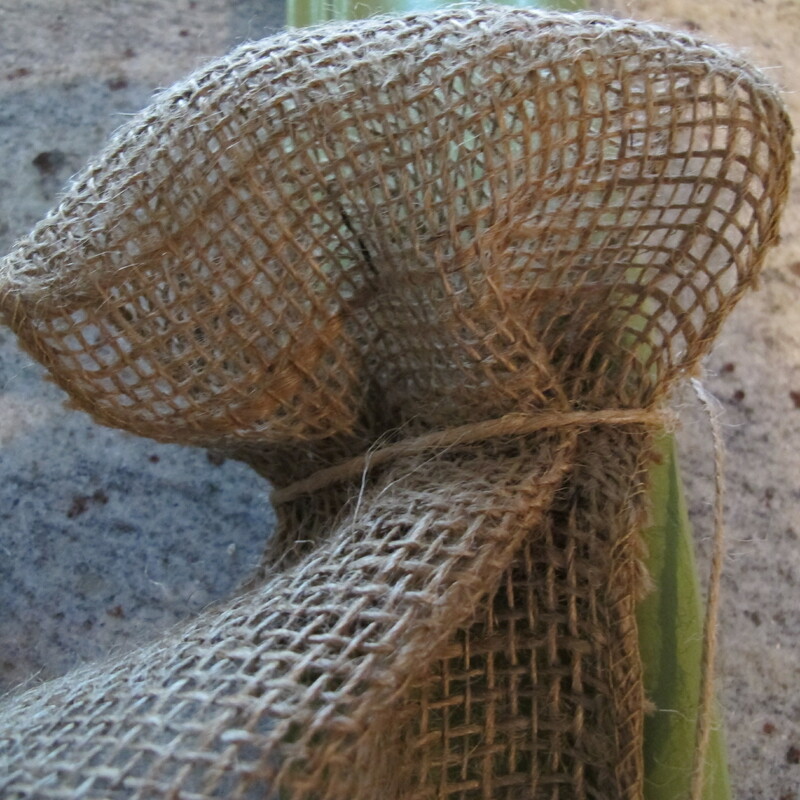 I continued to form loops of burlap and secured them by wrapping the twine around the cinched part of the burlap. 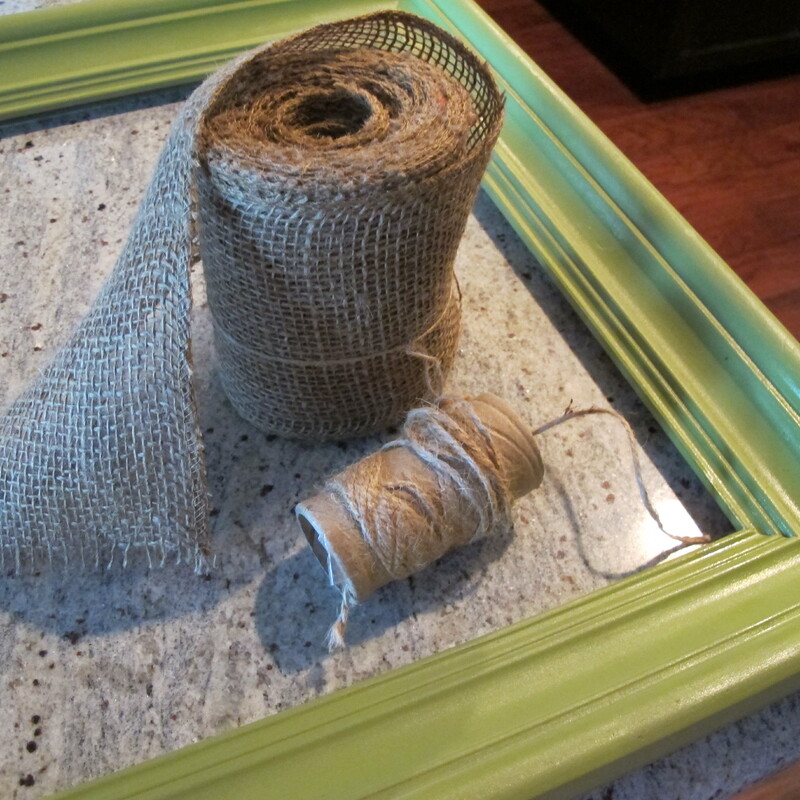 The twine went around both the frame and burlap. It’s hard to tell from the pic, but I literally just spiraled the twine around and around the frame. It’s all just one long piece. I worked my way down and around the corner until I reached my desired stopping point on the bottom of the frame. 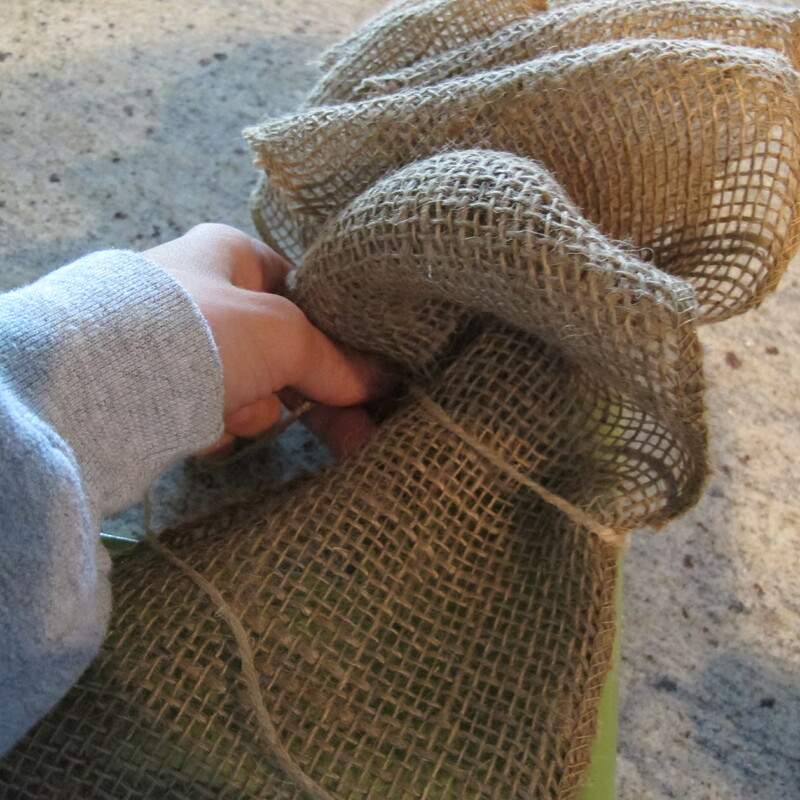 I formed one last loop of burlap and tucked it under. Then, I wrapped the twine around the cinched part tightly and knotted it behind the frame (just like I did at the beginning). I trimmed the excess and played with the loops a bit until they laid how I wanted them to. Then, I called it done. Super easy. This part seriously took 10 minutes once I figured out how to do it. 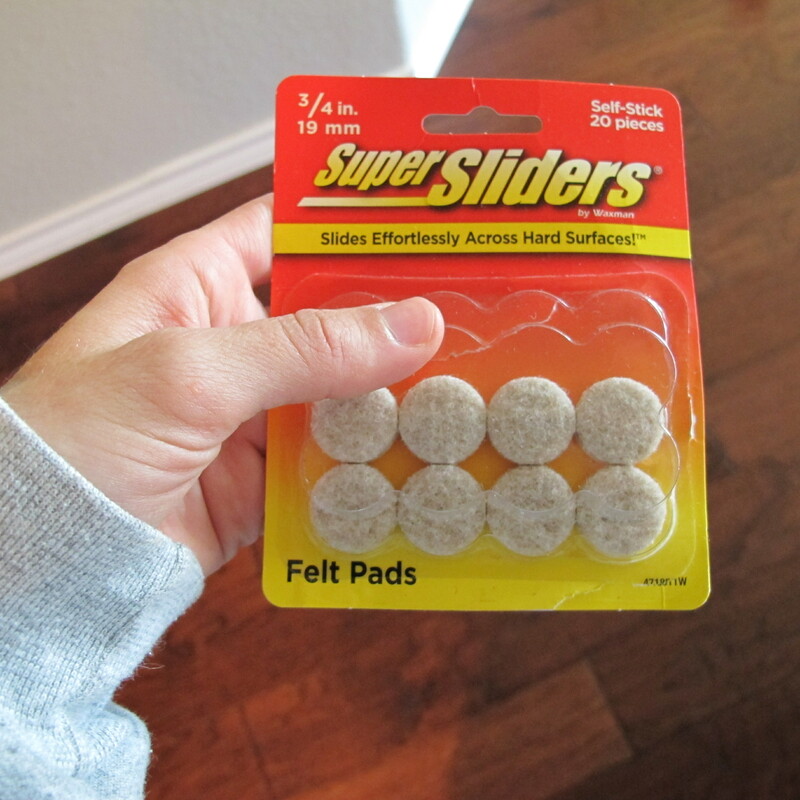 I added these felt pads to the back of the frame so it wouldn’t scratch our door…..
Now, for hanging. I saw this tip on Pinterest once and thought it was an awesome idea. I don’t even think I pinned it, actually. It was one of those, “Oh what a great idea!” and then I got distracted moments. So, to whoever came up with this idea, kudos! And mounted it upside-down on the back of our front door. I waited the recommended hour for the Command hook to set, then I grabbed Joey because this part was a two-man job. 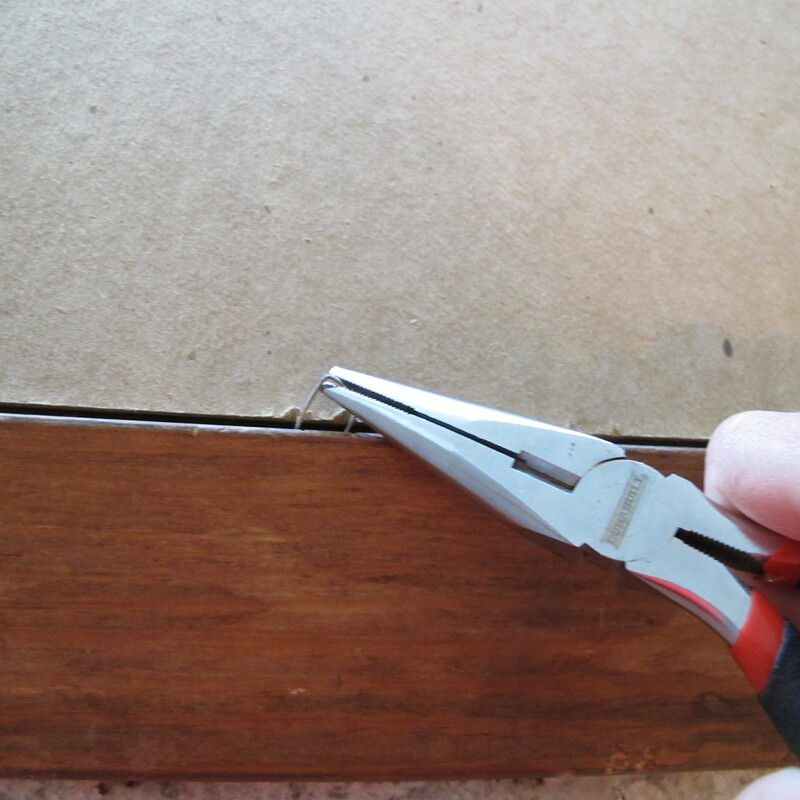 I looped some thick cream-colored ribbon that I had on hand around the top of the frame. 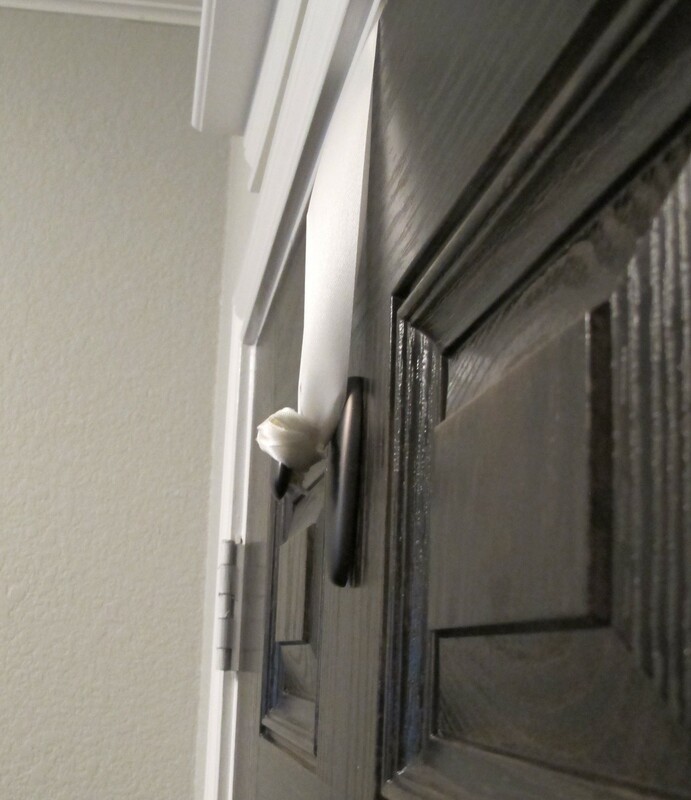 Joey, held both ends of the ribbon flush, looped it over the top of our door and held the ends of the ribbon while standing inside the house (I’m sorry, I don’t have pics of this part, but it’ll be more clear once I show the final pics) . I stood outside and had him lower and/or raise it until it looked good. 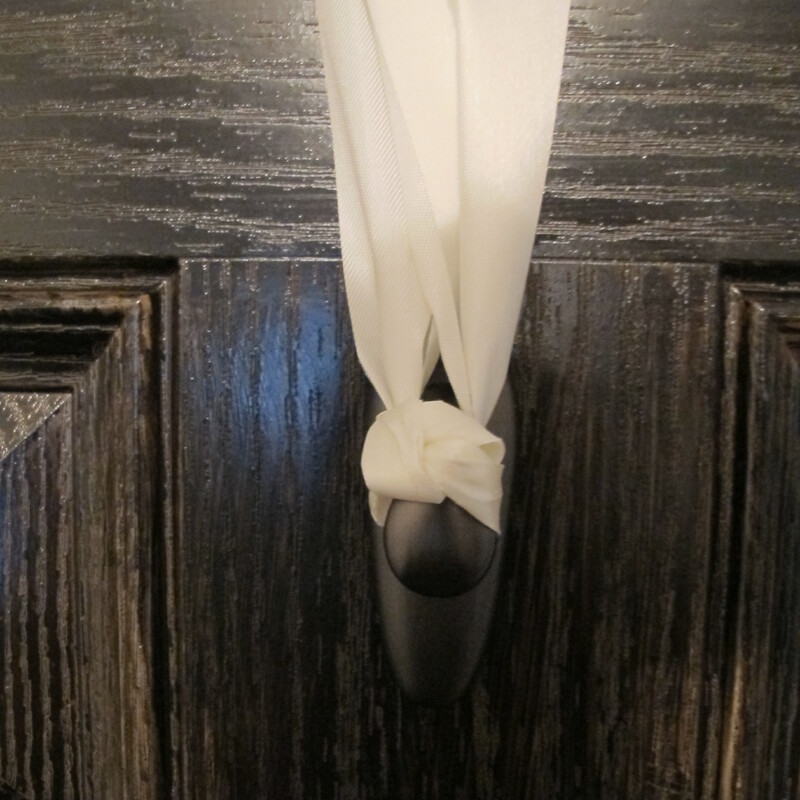 Then, once the placement was right, I grabbed the ribbon from him and tied it around the command hook. It looked like this when it was done and trimmed…. I couldn’t be more happy with this wreath. It’s simple and versatile. And I know exactly how I’m gonna jazz it up for Christmas, too. Gosh, I love Christmas. Anyways, this wreath ended up costing me around $17. 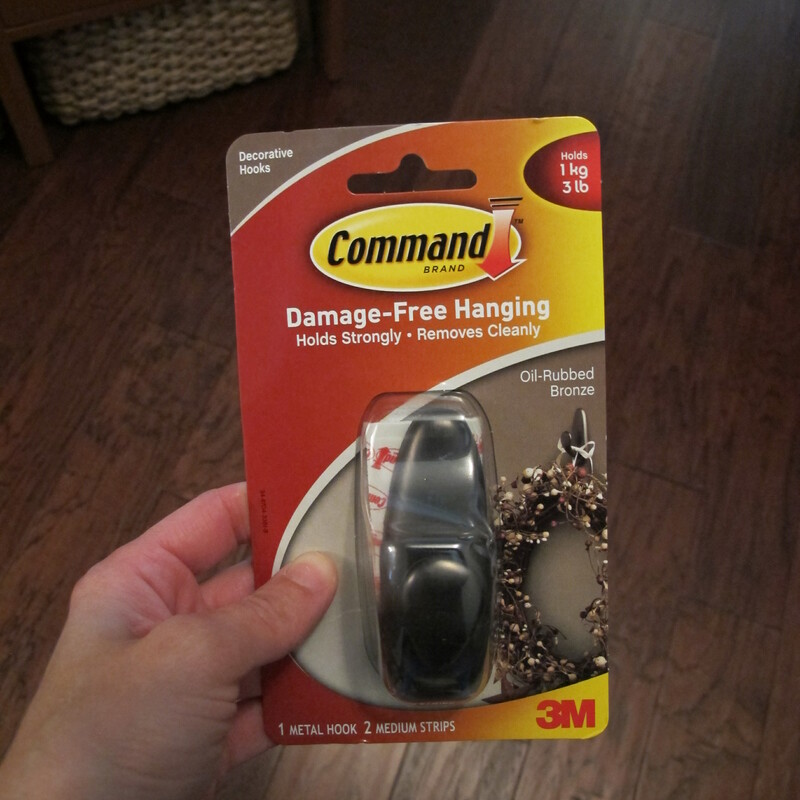 Four bucks for the frame, four bucks for the spray paint and around $9 for the Command hook (although, I have half a can of spray paint left and can reuse the hook). 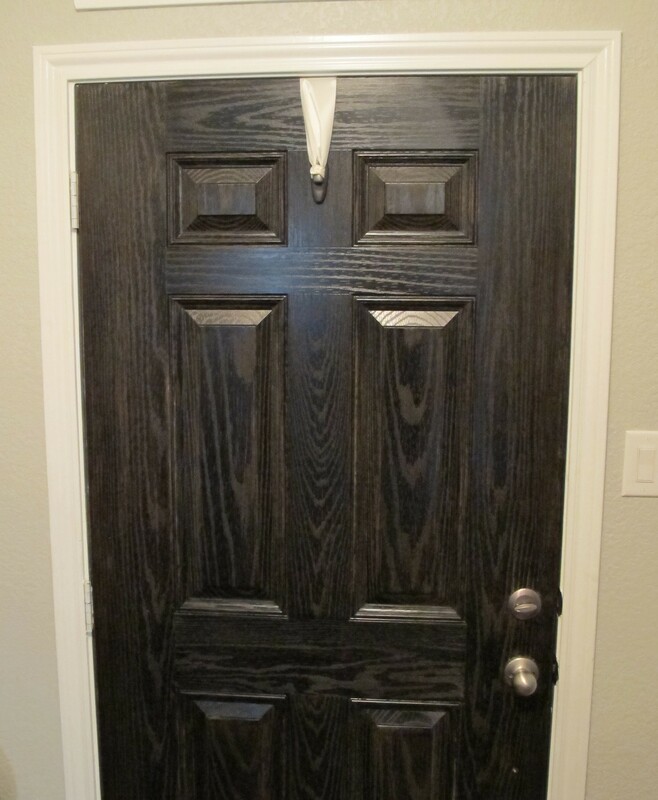 I splurged on the nicer hook because it matched our door but I’m sure you could get a cheaper one if desired. I already had the burlap ribbon, twine, cream ribbon and felt pads, but my guess is you could probably add another $15 if you had to purchase those things, less if you struck with a 50% off coupon at Michaels or Joann. Love the asymmetry – that totally rocks! Very cool idea! 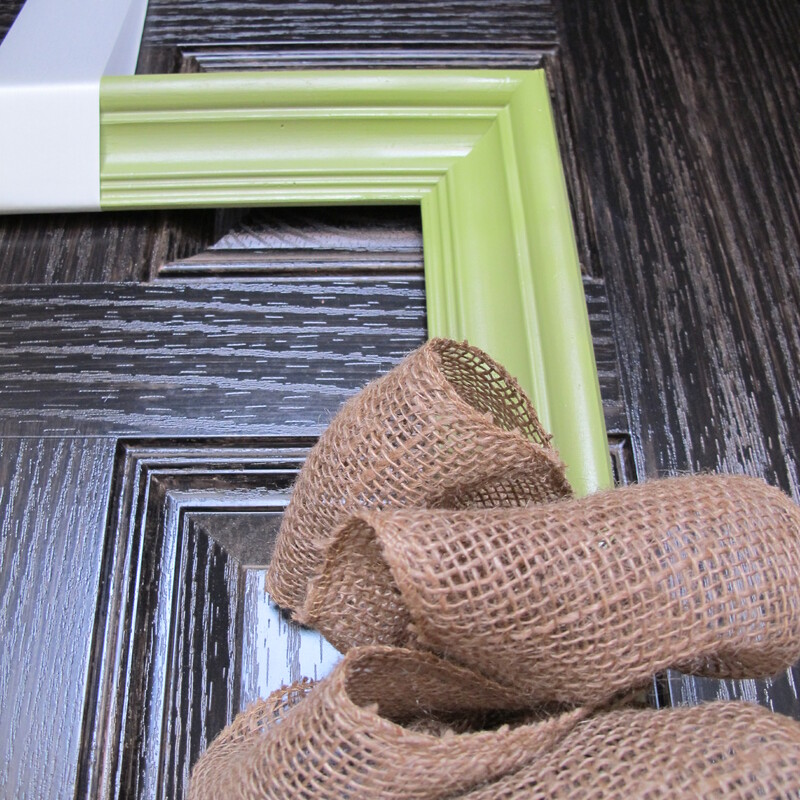 I’ve never seen a frame wreath before. I like it! Well done, ma’am! Very unique and really pretty! I’m speechless! Ah…creativity at its finest!! 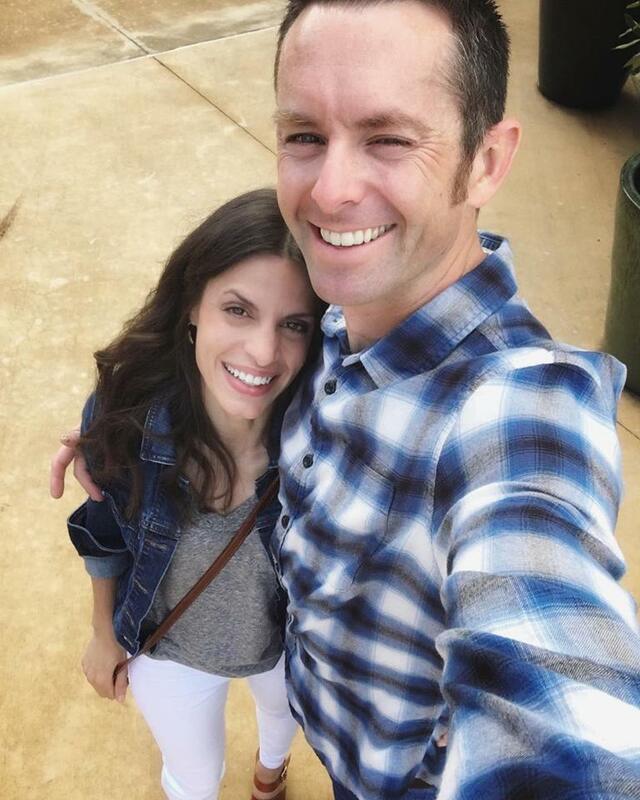 Great job….how wonderful that you are creating so many wonderful things including this blog! !